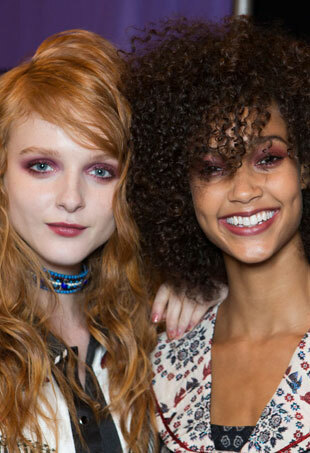 Next-level beauty tricks we picked up backstage at #NYFW this season from the world’s greatest hair, makeup and nail pros. 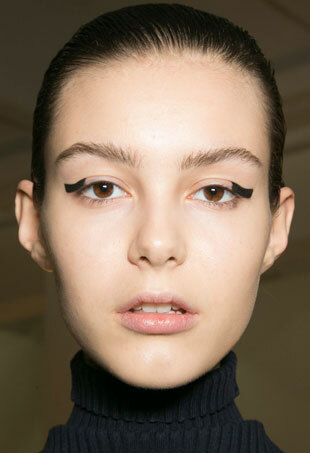 Fashion Week is one of our favorite times to scope out the best beauty looks for next season. 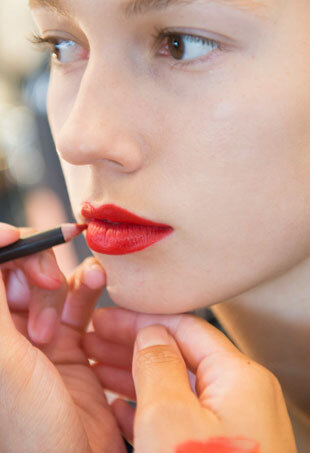 The genius beauty tricks we picked up backstage this season. 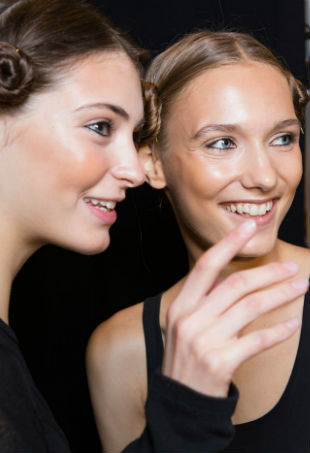 You don't need a squad of beauty professionals at the ready to recreate the show's glamazon looks. 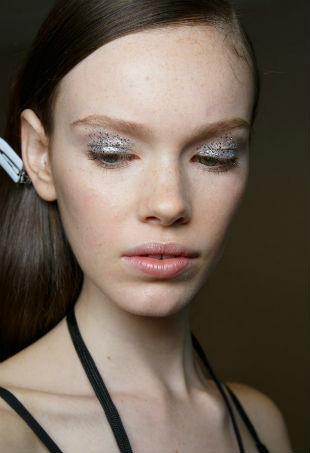 Just a touch of glitter. 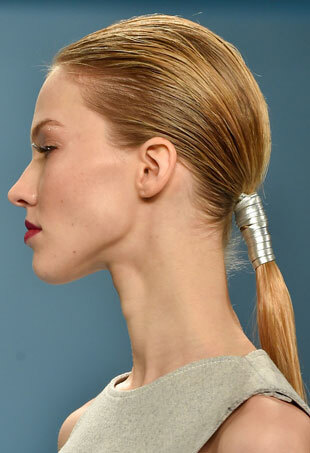 Orlando Pita for TRESemmé creates a sleek, leather-wrapped ponytail for Carolina Herrera's Fall 2015 show. 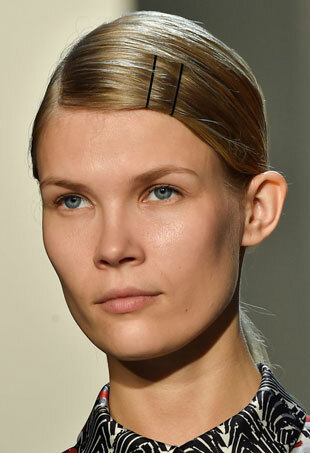 Models had a DIY moment. 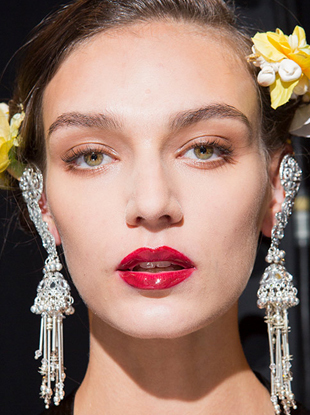 The Marchesa Fall 2015 collection was complemented with vintage, Great Gatsby-inspired beauty. The BCBG Fall 2015 girl is a world traveler with textured, undone hair. 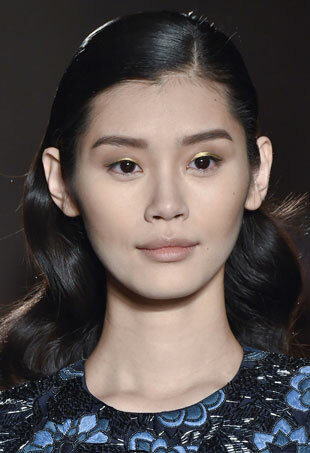 The hair and makeup look for Zac Posen's Fall 2015 show was all about elegance and glamour. 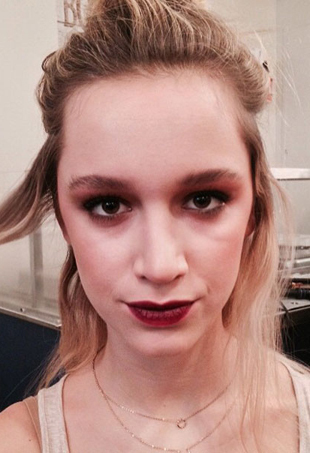 The hair and makeup at Diane von Furstenberg's Fall 2015 show was all about seduction. The coolest Star Wars-inspired mani ever. 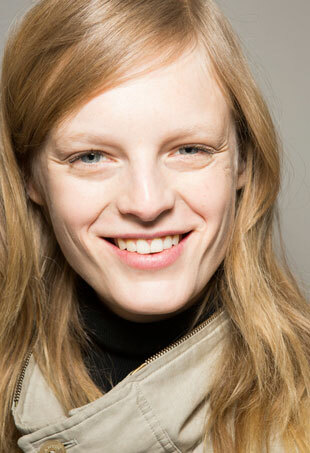 At Jason Wu's fall 2015 show, models wore their hair down—the first time since 2008. It may be snowing outside, but it was a jungle at Siriano. 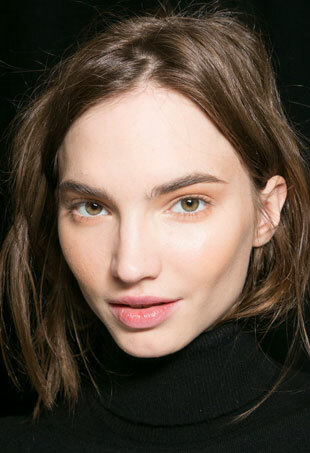 The stylists give us the scoop on the hair and makeup looks. 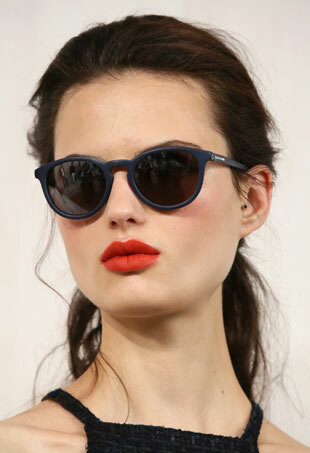 Jeanie Syfu for TRESemme tells us how to recreate this look now.